Welcome to our free deck plans repository. We love outside living. Decks are a terrific way to create outside dining, relaxing and entertaining space. Interestingly, there aren’t a great deal of free deck blueprints online. We decided to change that. This will be a growing repository of deck designs you can have for free. This is the main page which shows a snippet of each design we offer. To see the full design of any particular deck, simply click into the design you like to see the full suite of blueprints as well as the PDF version. Our designs are detailed and include step-by-step drawings as well as full materials lists. Thanks for visiting and we hope our comprehensive designs help you with building your deck. 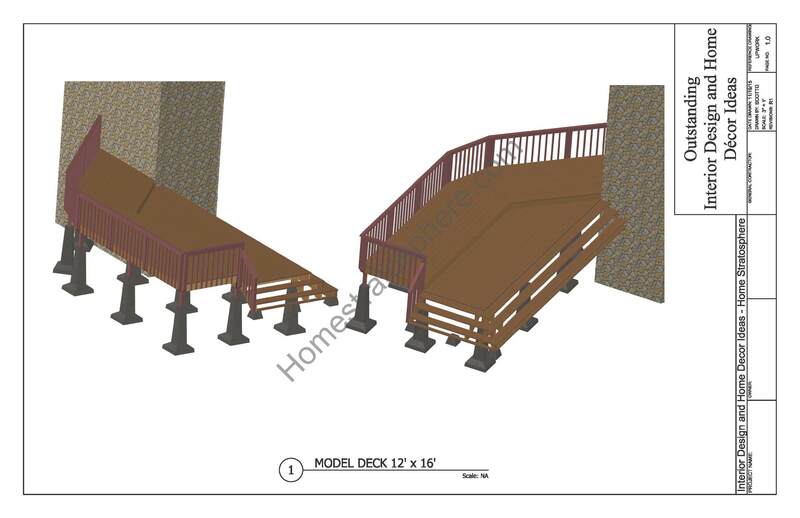 Our first free deck design is a basic 12 X 16 foot deck with footings and a short staircase. Check back soon for more deck plans. Also, check out our gallery of 68 deck designs for inspiration. 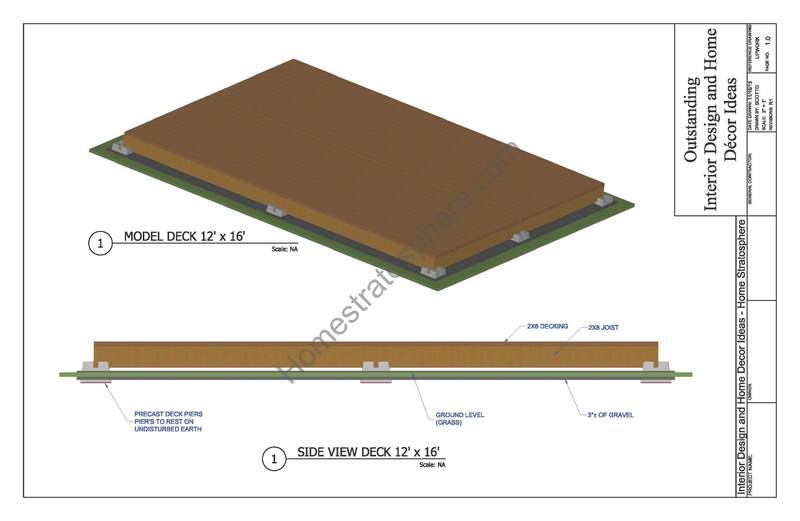 Our second deck plan is a 12′ x 16′ wooden deck that is flat on the ground. It’s much like a patio but built as a deck. => Click here to download the entire deck blueprint for the above deck design (it’s free). 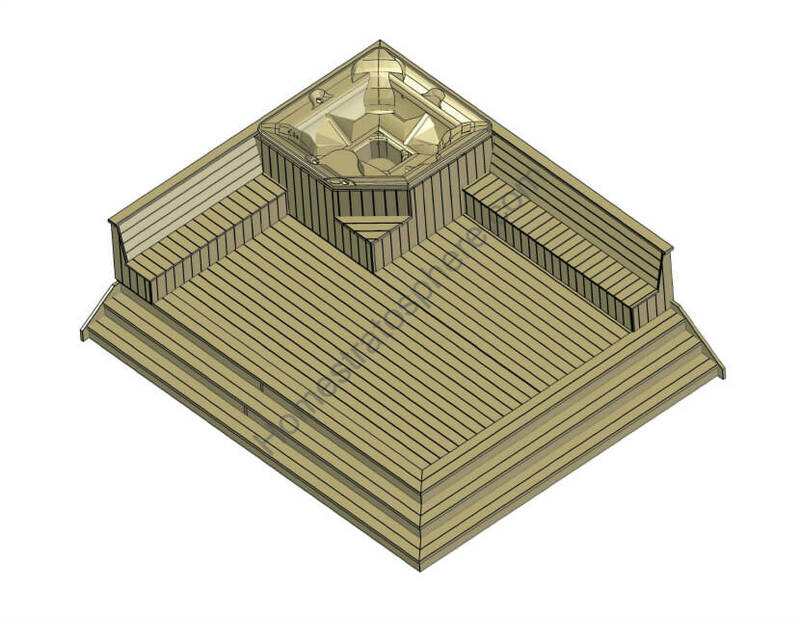 This is a more intricate deck design with 2 levels. => Click here to view the 2-level deck plans and blueprint (PDF included). 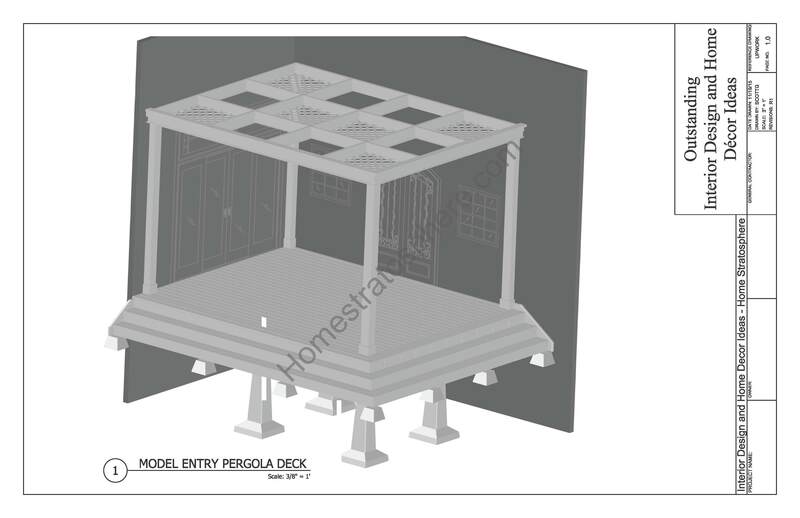 If you want a pergola built onto your deck, here’s our pergola deck plans (includes PDF download for free). 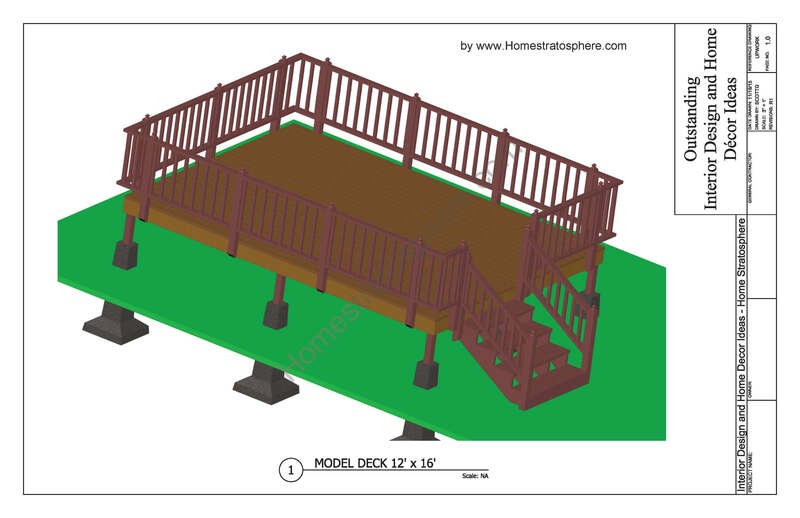 => Click here for the full plans of our pergola deck. Here’s the overview shot of our deck blueprint with built-in benches on 2 sides. This deck also features a deck-wide staircase. => Click here for the full set of plans for the deck with built-in benches. If you have a hot tub, you kind of need a place to put it. A deck is a great place. Click here for our hot tub deck plans. An additional feature of the above deck is wrap-around stairs (2 sides) and built-in benches. 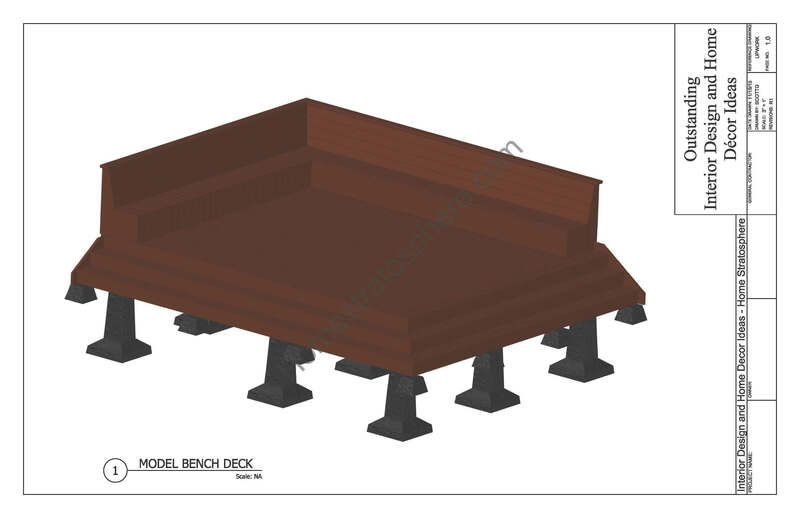 => Click here for the full set of plans for the hot tub deck.